Bacon, bacon, bacon. I love bacon. I love cheese, too. And biscuits. And to put them all together in one mouth-watering breakfast bite? I'm in heaven! 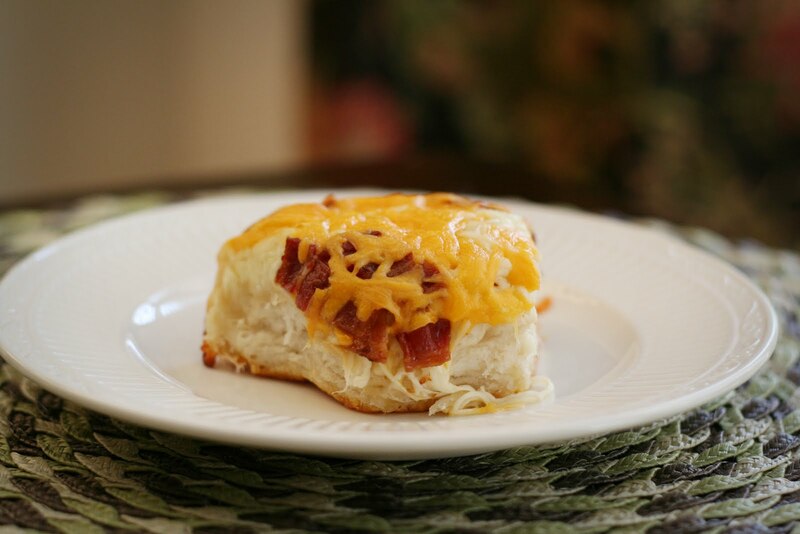 I'm not a big breakfast eater to begin with and when I do decide to veer off course from my regular coffee and more coffee breakfast diet, it's usually something savory like these Cheesy Bacon Biscuits. They were so easy to make! See my post HERE for a less-messy way to cook bacon. I cooked the bacon the day before, so on the morning I made these biscuits all I had to do was pull the 5 ingredients out of the refrigerator, put everything together, and throw it in the oven (not literally). So simple! Preheat oven to 350. Brush a cast iron skillet with melted butter. Place biscuits in skillet. 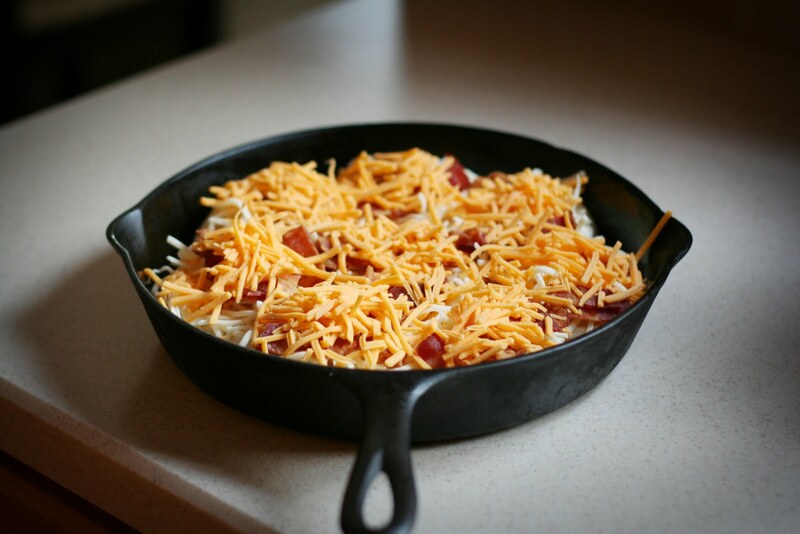 Top with crumbled bacon, shredded mozzarella, and shredded cheddar. Bake for 15-20 minutes until cheese is melted and biscuits are cooked through.